Alaskan Gov. Sarah Palin continued to leave her mark on American politics just days before leaving officer early. 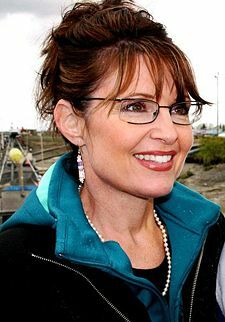 In a speech before a wildly enthusiastic group, Palin told fans that good Americans should “never apologize for our country.” It was a curious lesson to give children at a picnic — no matter what our nation does, we should never apologize because we are Americans. Apologies are for non-Americans to make (who should presumably also apologize for not being Americans). This is why bloggers and reporters are so fascinated by Palin. It is like listening to an adolescent speak in a government studies class — yet she is the governor of a state and one of the leaders of one of the two political parties of the most powerful nation on Earth. What is equally fascinating is that there are people who want to hear such comic book renditions of patriotism and politics. Under this logic, our country should not have apologized for slavery, the internment of Japanese Americans in World War II, the Dakota massacres, the use of American citizens for nuclear testing, and other great wrongs. More importantly, we need to teach our children that no matter what we do as a nation we are too great to apologize. This is the story of two friends at play. One bumped the other, but she knew what to say. I need to say it, too. YOU? I take a deep breath and show my friends I care. That is the thing to do. you need to say it, too! WHO? Not to inflict the lyrics or music on anyone, but the title at least of the old Clint Holmes song “Playground in My Mind” seems somewhat appropriate. Okay, I am just gonna have to settle this with the musical facts. When I get time, I am going to research all of my 13 or 14 Joel Whitburn Billboard books to see how each song charted and the higher the chart number the less wusser the song. C.E.K.–a very fine job! To all, this thread is horrifying. Do you like pina coladas along with that watered down cake someone left out in the rain? Are you proud to be an American, or is sorry something you’ll say? I’m so glad you’re back! I’ve been thinking of you, knowing this is such a hard time. It’s nice to see you joking around.